My round-up list of free downloadable 2016 calendars is growing and growing! There are already more than 52 free printable 2016 calendars. 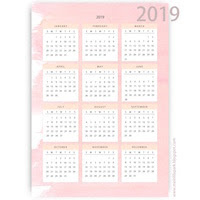 In this list you will find all kind of calendars: monthly planners, write-in calendars, whole year at a glance yearly calendars + calendars pages which fit into A5 and A6 planners. - and feel free to add some links if you know another free downloadable calendar! 1) Free printable colorful striped 2016 calendar cards (3 pdf files) from scrappystickyinkymess. 2) Free printable 2016 calendar decorated with doilies from scrappystickyinkymess. 3) Free printable 2016 year-at-a-glance calendar from meandmybigideas. 4) Free printable planner 2016 from thehandmadehome. including divider pages, year-at-a-glance pages, monthly write-in pages, weekly write-in pages, shopping lists, to-do lists, birthday lists and more! - It's amazing! 5) Free printable 2016 monthly write-in planner calendar from sarathitus. 6) Free printable 2016 monthly write-in planner calendar from scattered squirrel. 7) Free printable 2016 watercolor calendars (mini yearly calendar + 5x7 and 4x6 mini card versions!) from u-createcrafts. 8) Free printable monthly write-in planner 2016 calendars (3 different designs! chalkboard, geometric and playful) from botanicalpaperworks. 9) Free printable 2016 monthly write in planner calendar in black and white - perfect for coloring from teacherspayteachers. 10) Free printable 2016 year at a glance calendar (kawaii) from meinlilapark. 11) Free printable 2016 cat calendar (stylisch with cat silhouette) - one page year at a glance - from freecatimages. 12) Free printable 2016 monthly write-in planner calendar from shining mom. 13) Free printable 2016 monthly write-in planner calendar from simpelasthat. 14) Free printable 2016 monthly write-in planner calendar from shortstop designs. 15) Free printable 2016 vintage rose calendar - whole year at a glance - from meinlilapark. 16) Free printable 2016 coloring calendar from meinlilapark. 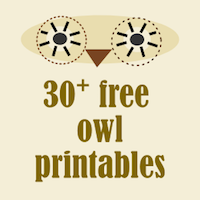 17) Free printable 2016 vintage calendars from heartwarming vintage. 18) Free printable 2016 kitchen calendar - year at a glance - "tea time" from meinlilapark. 19) Free printable 2016 monthly calendar planner from amyscreativeside. 20) Free printable 2016 monthly calendar (colored) from teacherspayteachers. 21) Free printable 2016 monthly planner calendar (black and white) from smallpaperthings. 22) Free printable 2016 monthly planner calendar from justagirlandherblog. 23) Free printable 2016 3D calendar from apieceofrainbow. 24) Free printable 2016 calendar planner inserts from mylifeallinoneplace. 25) Free printable 2016 monthly planner calendar from meinlilapark. 26) Free printable 2016 monthly planner calendar from landeeseelandeedo. 27) Free printable monthly planner calendar 2016 from pearodie. 28) Free printable 2016 calendar - whole year at a glance - from hello cuteness. 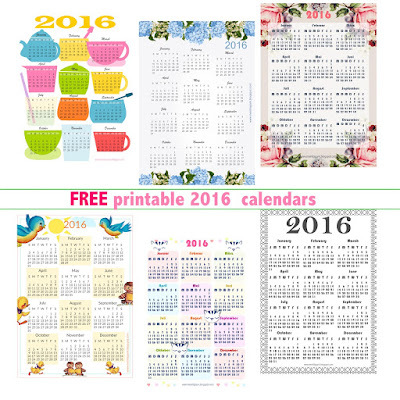 29) Free printable 2016 calendars from ellizaellies. 30) Free printable 2016 vector calendar in doodle style from freepik. 31) Free printable 2016 planner calendars (3 different designs) from blooming homestead. 32) Free printable 2016 planner calendar (in different designs) from ohsolovely. 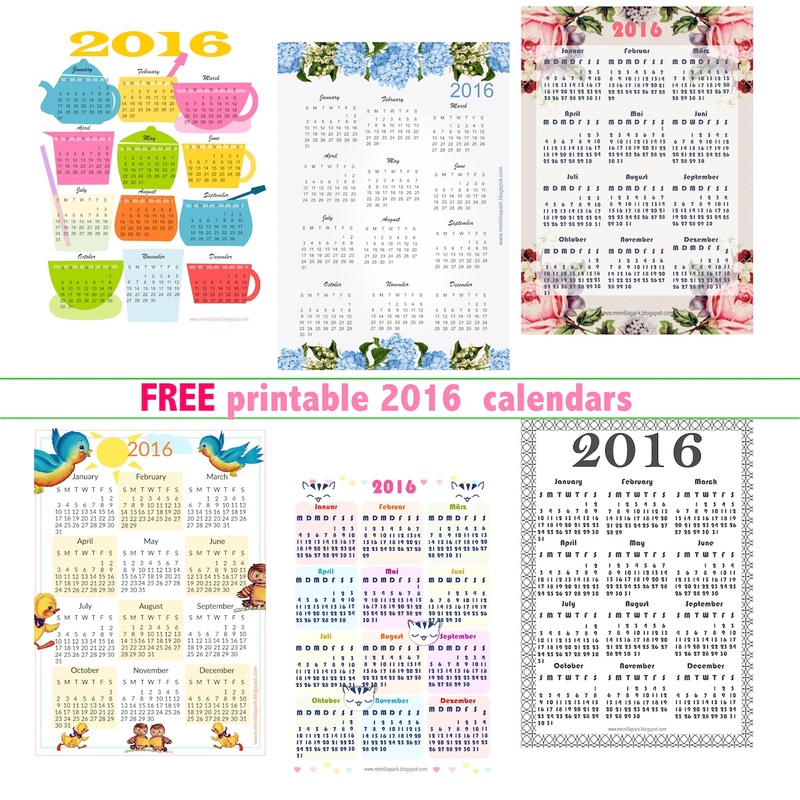 33) Free printable 2016 planner calendar (DIN A5 & A6) from wendaful. 34) Free printable 2016 write-in calendar from imom. 35) Free printable 2016 calendar from cocorrina. 36) Free printable 2016 write-in doodle calendar from creative mamma. 37) Free printable 2016 mini calendar cards from creative mamma. 38) Free printable hand lettering 2016 calendar months from delineateyourdwelling. 39) Free printable 2016 calendar months from eversobritty. 40) Free printable 2016 personal size planner inserts from pengems. 41) Free printable 2016 calendar (2 options: mo-su and su-sa) from myscandinavianhome. 42) Free printable 2016 monthly planner and calendar from homemade makeovers. 43) Free printable 2016 monthly write-in calendar from amyscreativeside. 44) Free printable 2016 monthly write-in calendar from seventhirtythree. 45) Free printable 2016 monthly calendar from hello cuteness. 46) Free printable 2016 write-in calendar from thyme is honey. 47) Free printable 2016 write-in calendar from smallpaperthings. 48) Free printable 2016 calendar from thelittlestreet. 49) Free printable 2016 year-at-a-glance calendars from blogredstamp. 50) Free printable 2016 watercolor mini calendar from bestdesignoptions. 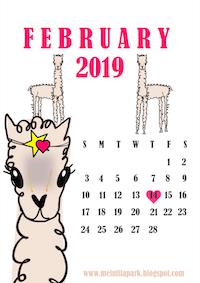 51) Free printable 2016 monthly calendar from cocoandmingo. 52) Free printable 2016 hydrangea calendar from meinlilapark. 52) Free printable 2016 kids calendar from meinlilapark. This list is a growing list. So come back soon to have another look on it! 1) Kostenlos ausdruckbarer Kalender 2016 - das ganze Jahr auf einen Blick - mit Katzensilhouette von freecatimages. 2) Kostenlos ausdruckbarer Kalender 2016 - das ganze Jahr auf einen Blick - im Kawaii Design von meinlilapark. 3) Kostenlos ausdruckbarer Kalender 2016 mit einem Rahmen aus Vintage Rosen von meinlilapark. 5) Kostenlos ausdruckbarer Kalender 2016 (2 verschiedene Designoptionen!) von kreavilla. 6) Toller kostenlos ausdruckbarer monatlicher Kalender 2016 zum Reinschreiben von sodapop-design. Great round-up!! Thanks for sharing :-) Regards! Hi..Number 12 and 14 have no link, they doesn´t work. Thank you for the calendars, why don´t you show calendars in other languages? it would be useful!! Hi, I fixed the links. They are working now.